"He does have to concede home-field advantage, of course, but the American contingent set to line up against him looks far from the strongest." Hunting Horn, fresh from an impressive Royal Ascot win in the Group 3 Hampton Court Stakes, looks to have decent claims of following up in the Grade 1 Belmont Derby (23:50 BST). In beating Crossed Baton by four and a half lengths, Hunting Horn elevated himself into the ranks of the top European middle-distance three-year-olds of 2018, so it is perhaps a touch surprising that, at the time of writing, he is freely available at around 7/2. He does have to concede home-field advantage, of course, but the American contingent set to line up against him looks far from the strongest. Of the locals, Catholic Boy and Analyze It, who fought out the finish of a Grade 3 contest at this track last time, are likely to emerge as two of the biggest threats. Catholic Boy got the better of Analyze It that day, after being headed but battling back to regain the advantage close home. There should be little between them once more, but that form gives them around 6 lb to find with Hunting Horn if he turns up in the same nick as last time. Another American to keep an eye on is Hawkish, who was an impressive winner of the Grade 2 Penn Mile at Penn National last time, but needs to prove his stamina over this extra two furlongs. Of the others, Kingstar, trained in France by Pia Brandt, is another interesting European challenger. A winner of two of his three starts, Kingstar improved for the step up to an extended ten furlongs last time, impressively winning a minor contest at Longchamp. The waters are obviously much deeper here, but he has plenty of potential, and it would be no surprise were he to prove good enough to at least make the places. Earlier in the evening, the Belmont Oaks (22:46 BST) doesn't look to have the same kind of quality to it, but is competitive nonetheless. With just 2 lb separating five of the field on Timeform ratings, it looks a wide-open renewal. 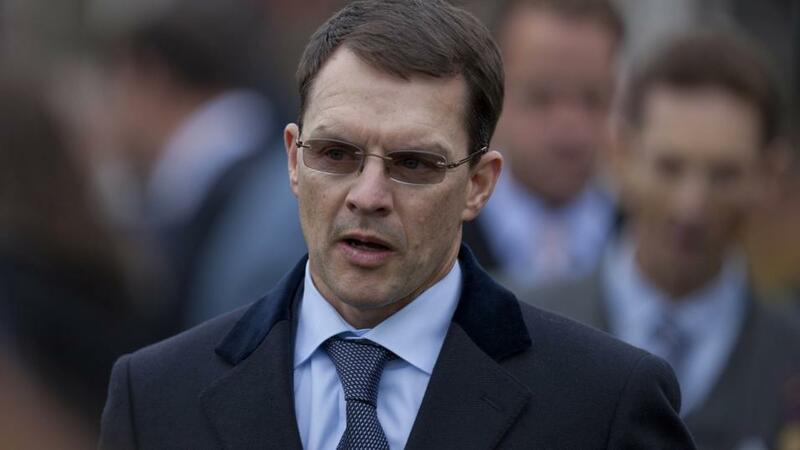 The European challenge rests with Capla Temptress for Marco Botti and Athena for the Ryan Moore/Aidan O'Brien combination once more. In strict form terms, Capla Temptress has achieved more to date, winning a weak Grade 1 contest at Woodbine as a two-year-old before opening this season with a good fourth-place finish in the French 1000 Guineas. Athena put up her best effort just last week, finishing third to Urban Fox and Forever Together in the Pretty Polly Stakes at the Curragh. A little more improvement from that puts her right in the mix, but the short turnaround is a little bit of a concern. It would be no surprise at all if the Americans kept this one at home, with the likes of La Signare, Paved, Significant Form and Thewayiam all possessing comparable form to Athena and Capla Temptress. In such an open renewal, a watching brief is advised. While the two turf features are the highlight of a stellar card, without doubt the most intriguing race of the night comes earlier, with Mendelssohn bidding to restore his reputation on dirt in the Grade 3 Dwyer Stakes (21:36 BST). Whilst his blowout in horrendous conditions in the Kentucky Derby is still fresh in the memory, it simply isn't fair to judge him on that, and we'll have a better idea of where he stands in relation to Triple Crown winner Justify following this contest. If Mendelssohn turns up in the same kind of form that saw him romp to a wide-margin win in the UAE Derby, it's hard to see any of his six rivals laying a glove on him. Stable companion Seahenge also lines up, but he hasn't looked convincing in his two dirt attempts. Mendelssohn ought to get the job done, but he isn't an attractive betting proposition at the likely prices, for all that this race looks weak for the level.